Deca Durabolin (Nandrolone Decanoate)"Deca" is actually the brand name for Organons version of the compound Nandrolone Decanoate. Deca Durabolin is a 19-Nor compound (some would say that it is the 19-nor compound), and as such, it shares basically the same characteristics with all of them. One thing unique to Deca, above nearly all steroids, is the mystique it has had for the last quarter of a century. On a personal level, Ive included Deca in cycles at doses ranging from 100mgs/week to 2,000mgs per week. Suffice to say, I have my fair share of experience with Deca Durabolin. This drug was regarded very highly by Dan Duchaine in his Underground Steroid Handbooks as well as many of his later writings. For many, this was and is the final word on Deca. Lets delve into some of the reasons that Decas mystique may be well deserved. Deca Durabolin ("Deca") is actually the brand name for Organons version of the compound Nandrolone Decanoate. Deca Durabolin is a 19-Nor compound (some would say that it is the 19-nor compound), and as such, it shares basically the same characteristics with all of them. One thing unique to Deca, above nearly all steroids, is the mystique it has had for the last quarter of a century. On a personal level, Ive included Deca in cycles at doses ranging from 100mgs/week to 2,000mgs per week. Suffice to say, I have my fair share of experience with Deca Durabolin. This drug was regarded very highly by Dan Duchaine in his Underground Steroid Handbooks as well as many of his later writings. For many, this was and is the final word on Deca. Lets delve into some of the reasons that Decas mystique may be well deserved. First of all, Deca Durabolin (and Nandrolone in general) doesnt produce many estrogenic or androgenic side effects. This is because Deca Durabolin has a very low rate of aromatization (conversion to estrogen via the aromatase enzyme), roughly equal to 20% the rate of Testosterone. Also, Ive read many places that Deca Durabolin stores water in connective tissue, thus alleviating joint pain. I have no idea what "storing water in the joints" means. I have no idea how to really quantify that statement, or where it started. However, in one study of postmenapusal women, Deca impoved collagen synthesis (1), and in another study Deca Durabolin increased bone mineral content. (2)Both of these studies used VERY low doses, which were far too low to promote muscle growth. In my estimation, based on these 2 studies, an athlete attempting to use Deca only for these two effects (increasing bone mineral content and collagen synthesis) should be using 100mgs of Deca Durabolin every week. Thats actually a higher dose than those two studies used successfully. Even at of this dose, in HIV+ patients who have experienced significant wasting, a 100mg/E2W (every 2 weeks) injection of Deca resulted in a "significant increase in weight" (5). Id never recommend that low of a dose for an athlete, but its evidence of Decas strong anabolic properties. Deca is a very nice anabolic, causing nice (albeit slow) gains in quality muscle. This could be due to its moderately strong binding to the Androgen Receptor, or its many positive non-Androgen-Receptor mediated effects. One such effect is nitrogen retention, which is a major factor in muscle growth and lean mass gains; in one study, with low-doses (65 mg/week) and high-doses of Deca (200 mg/week), both low-doses and high-doses resulted in significant nitrogen retention (33-52 g nitrogen/14 days, representing gains of 0.5 to 0.9 kg lean tissue/week), and body weight increased by 4.9 +/- 1.2 kg, including 3.1 +/- 0.5 kg lean body mass, and treadmill exercise performance (cardiovascular fitness) also improved (7). Need I say that the higher doses in this study produced more gains? Steroid.com members who have posted their results with Deca Durabolin confirm this in many posts and threads, with their average reccomendation being to take 400-600mgs/week for muscle gain. I have to agree. Deca Durabolin,Steroids,Deca Deca Durabolin also has a very long active life. We can see from the chart below that a 100mg shot Deca (represented by the circles) produced relatively active and stable plasma nandrolone levels until day almost 10, hence once a week shots are all thats necessary for stable levels of nandrolond Deca Durabolinnoate (as a side note, the nandrolone phenylpropionate used in this study was active, and only experienced a severe drop off around day 5, shooting NPP every 4th day is the way to go). Youll also note that higher blood plasma levels of Nandrolone are found with Gluteal injections as opposed to Deltoid injections (this is true for all oil-based steroids, I suspect). In another study of HIV+ men (6) we can see that Deca Durabolin ( 200mgs on week 1, 400 on week 2 and 600mgs for weeks 3-12) caused NO negative side effects in total or LDL cholesterol, triglycerides, or insulin sensitivity and there was a reduction of HDL cholesterol(8-10 points) in both groups. Also, in most studies with HIV+ subjects, Deca Durabolin also improved immune function. So what do we know so far about this compound? So far, we know thatDeca Durabolin is a very safe drug for long term use, will help with joint problems, could improve immune function, and is highly (!) anabolic, and not very androgenic. Deca Durabolin is known for producing quality weight gains, but it has to be used for 12 weeks at a minimum, judging from Steroid.com members feedback, as well as my own personal experience. This shouldnt cause any problems, since it is a very mild drug in terms of side-effects. Many members of Steroid.com also complain of water-retention with this drug, and again, Im inclined to agree. Letrozole seems to be a preferred choice to combat this, and its my favorite for this use. This water retention would seem to make Deca Durabolin more suitable for bulking rather than cutting, although it can be successfully used for either. Now for the worst news: Deca Durabolin is a progestin (as are all nandrolones), unfortunately; it happens to stimulate the progesterone receptor 20% as well as progesterone itself (3), and this opens the door for many possible unwanted side effects (water retention, acne, etc...). It must be noted that most of those are rare, though. This also may be the major reason that Deca is such a suppressive drug when it comes to your natural testosterone levels. We can see from the chart below that a simgle measly 100mg injection of Deca Durabolin caused a total (100%) reduction of natural testosterone levels, and it took roughly a month to return those testosterone levels to baseline! All from 100mgs of Deca! The moral of this story? Always use Testosterone with your Deca Durabolin! I suggest 200mgs, minimum, to avoid impotence and sexual dysfunction. For an anabolic effect from that Testosterone, I recommend at least double that, with an equal amount of Deca Durabolin (minimum). Id also recommend taking an anti-progesteronic drug with Deca Durabolin (or at least having it on hand): Cabergoline and Bromocriptine are both good choices. So where are we? Well, Id be comfortable recommending Deca Durabolin for use in a bulking cycle at up to 600mgs/week for an extended duration (12-16 weeks), or up to 400mgs/week in a cutting cycle (again, for 12-16 weeks), as long as something to combat water retention is present. Whichever purpose you decide to use Deca for, you still need to include Testosterone in your cycle and have some anti-progesteronic drugs on hand (see paragraph above), just in case. Post Cycle Therapy (PCT), though beyond the scope of this profile, needs to be commented on. Due to the highly suppressive nature of Deca Durabolin, I will speculate that testosterone in a Deca Durabolin-inclusive cycle needs to be run for at least 2 additional weeks upon cessation of Deca. We remember from the chart above that baseline testosterone levels took roughly a month to return. Hence, a nice long estered testosterone should be run about 2 weeks longer than Deca Durabolin, to prevent having a lag in time when the Deca Durabolin is not producing an anabolic effect, yet is still suppressing your natural testosterone levels. Id also suggest that a particularly aggressive PCT be run after your cycle; nolvadex, HCG, and perhaps clomid should all be utilized in an effort to restore your natural hormone levels as quickly and efficiently as possible. To buy Deca Durabolin as a human-grade pharmaceutical from a dealer who stocks the Organon brand will be an expensive proposition. You could end up paying well over $10usd per amp or 2ml vial and this product is (in my estimation) probably the most faked steroid in the world. Buying veterinary grade will make this much cheaper, with $75 being the average price for a ten milliliter bottle. There are also many underground labs that produce this drug and usually 10-20mls of a 200mg/ml concentration will never run over $100. A Deca Durabolin cycle can be a very exciting cycle for most men. In most cases, a Deca Durabolin cycle will be during a period of growth and increasing muscle size is pretty exciting for most men. This is not the only time the steroid can be used; Deca Durabolin has a place in some cutting cycles and is commonly used by athletes who may not be bulking or cutting at all. However, the standard Deca Durabolin cycle will surround growth. For many men, planning any steroid cycle can be very confusing, and it’s often complicated by misinformation that plagues the net and many local gyms. However, planning a Deca Durabolin cycle is actually one of the easiest cycles you’ll ever plan. With that in mind, we want to take a look at various plans and help you develop the right Deca Durabolin cycle for you. We will look at precise layouts, but it’s important to note these are merely guides and are by no means set in stone. The following Deca Durabolin cycles are simply presented in an effort to explain proper use, but total doses and stacking plans may need to be adjusted to meet individual needs. A bulking Deca Durabolin cycle will be the most common point of use for most men. With this plan, a simple stack of Deca Durabolin and testosterone can easily be all you need. The form of testosterone you choose is inconsequential; all that matters is your body is given adequate amounts of the testosterone hormone to meet its needs. However, higher testosterone doses are typically recommended during a growth phase. Large ester base testosterones will also be the easiest to use such as Testosterone Cypionate and Testosterone Enanthate. Some may also find additional steroids like Anadrol or Dianabol to be beneficial. In fact, the combination of Deca Durabolin and Dianabol along with some form of testosterone is one of the oldest and most popular steroid cycles of all time. An important note – many inaccurately assume that other 19-nortestosterone (19-nor) steroids cannot be used with a Deca Durabolin cycle because they will compete for the same receptors. We’re not going to go into explaining receptor function but this idea is a myth. You do not have to use another 19-nor compound, most of you will not need one, but one can be used. It is also assumed that steroids like Equipoise cannot be used during a Deca Durabolin cycle for similar reasons; again, this is a myth. Deca Durabolin will stack well with most all anabolic steroids. 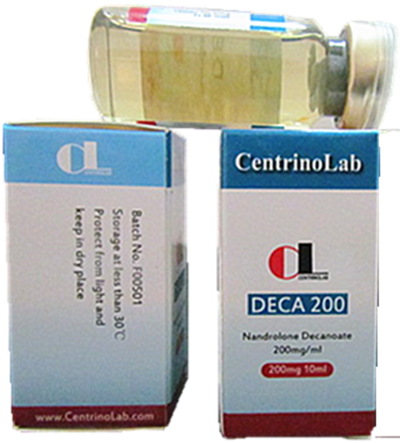 A cutting Deca Durabolin cycle will normally not be built around this Nandrolone hormone, but rather it is a secondary addition. In the cutting phase, this steroid may be added to a total plan in order to promote muscle tissue preservation, but it is most commonly added for the therapeutic effects this steroid can provide. If a cutting Deca Durabolin cycle is implemented, especially if you’re a competitive bodybuilder, you will more than likely want to keep its use at the front end of the total plan and rely solely on hardening agents towards the end. This type of Deca Durabolin cycle cannot be recommended to new steroid users. This type of use will normally be extended beyond what a new steroid user will be comfortable with. Most any athlete can benefit from a Deca Durabolin cycle. In most cases, a low dose of Deca Durabolin will be used in conjunction with another steroid that promotes strength to a higher degree along with a very low dose of testosterone. It’s not uncommon for many athletes to rely on testosterone gel but low dose injections will prove to be best.